Calling all leaders! If you are an energetic, motivated and driven person with a disability between the ages of 16-19 this program may be for you! We are providing exciting opportunities today, so that you may help change the world tomorrow. Please join us on this journey. WHAT IS YOUTH LEADERSHIP FORUM? The Youth Leadership Forum for students with disabilities (YLF) is a unique leadership-training program for high school students with disabilities. By serving as delegates from their communities at a four-day event in the state capital, young people with disabilities cultivate leadership, citizenship, and social skills. WHAT KIND OF ACTIVITIES WILL I PARTICIPATE IN? YLF Delegates will learn how laws are made and how to successfully advocate for new laws. They will visit the Capitol, meet legislators, and participate in a mock legislative session. The Florida Association of Centers for Independent Living facilitates collaboration among member Centers for Independent Living and other stakeholders, resulting in a unified statewide voice advocating for equal rights for people with disabilities. YLF delegates will learn what it means to be a leader and will learn new ways to increase their leadership abilities. Each delegate will develop a “Personal Leadership Plan” which provides an individual action plan to begin using their new skills to advocate for themselves and others when they return to their communities. 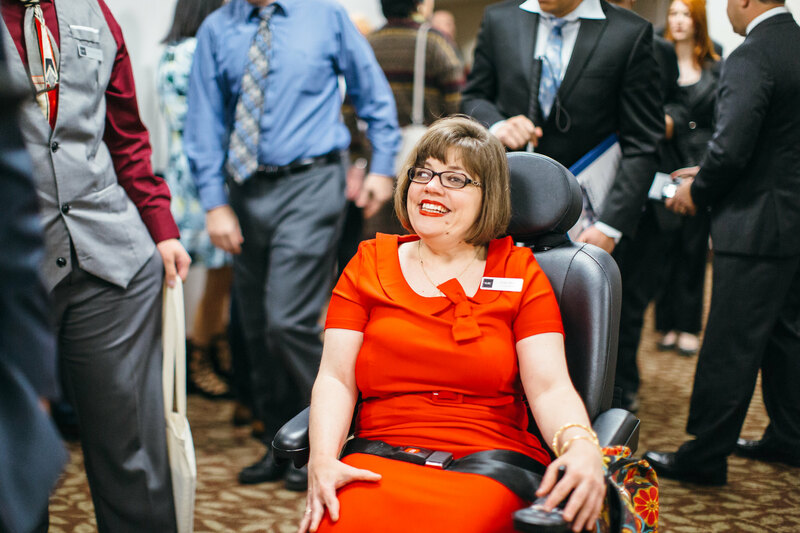 about the history of the Independent Living Movement, how to promote disability awareness, and how to access community resources and assistive technologies that lead to independence. fields, while on field trips around Tallahassee. YLF delegates will have fun! Delegates will participate in social interactions enabling students with different abilities to network and develop new relationships. We are looking forward to this year’s talent show, dance and “Dining Like Dignitaries” formal dinner! Florida students aged 16-19 and enrolled in a high school education program (public, private, virtual, GED, homeschool) are invited to apply. Each student must have a diagnosed disability at the time of application. We are a cross-disability organization and welcome applications from individuals with any type of disability. actively participate in small and large group discussions. Selected students must show proof of health insurance (private insurance, year-round school insurance, Cover Florida, KidsCare or Medicaid is acceptable). 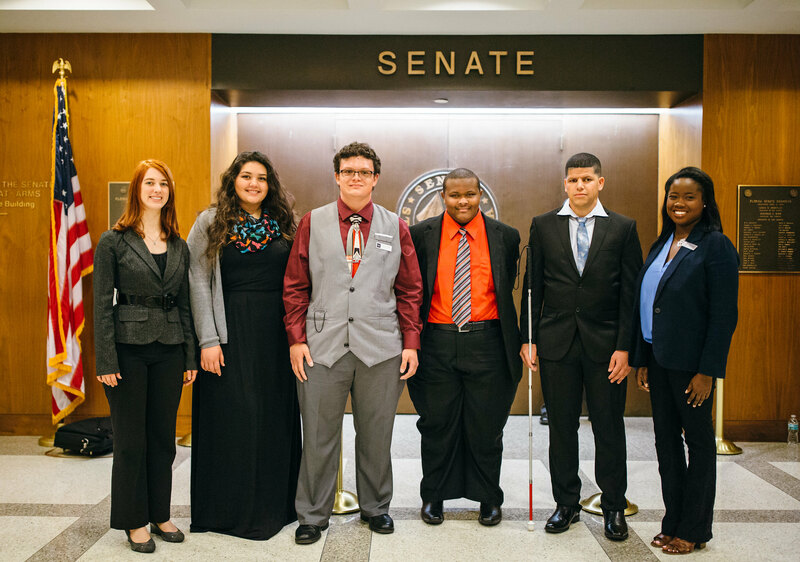 PICTURE: ILRC Youth Advisory Council in front of Florida Senate Chamber. PICTURE: Angie Miller, ILRC Board Member and YAC leader, in Florida's Senate Chamber.